When we talk about where to share our photos and videos, Instagram comes first in our mind. Many people and almost all celebrities uses it. 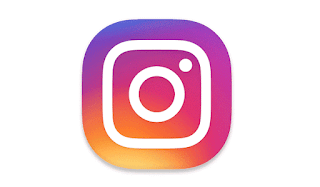 The news now is that, Instagram has just announced hitting 500million users. Out of 500million users, 300million are active every single day. The company laid the announcement on their blog and they all used the chance to thank all their users for their creativity, openness and passion. Kindly read the official statement from Instagram. Today, we’re excited to announce our community has grown to more than 500 million Instagrammers — more than 300 million of whom use Instagram every single day. Our community also continues to become even more global, with more than 80 percent living outside of the United States. As you’ve captured and shared the moments happening around you, you’ve formed incredibly varied and diverse communities. Whether you’re an illustrator, a sneakerhead or an astronaut on the International Space Station, every photo and video you share helps bring people closer to friends and interests, broadens perspectives and inspires a sense of wonder. You’ve made Instagram a place where the everyday and the epic are always within reach. Thank you for your creativity, your openness and your passion for sharing your worlds with one another. We can’t wait to see what you create next. A creative mind will always be successful. Instagram have not been online for long but with the right part it was able to achieve this.